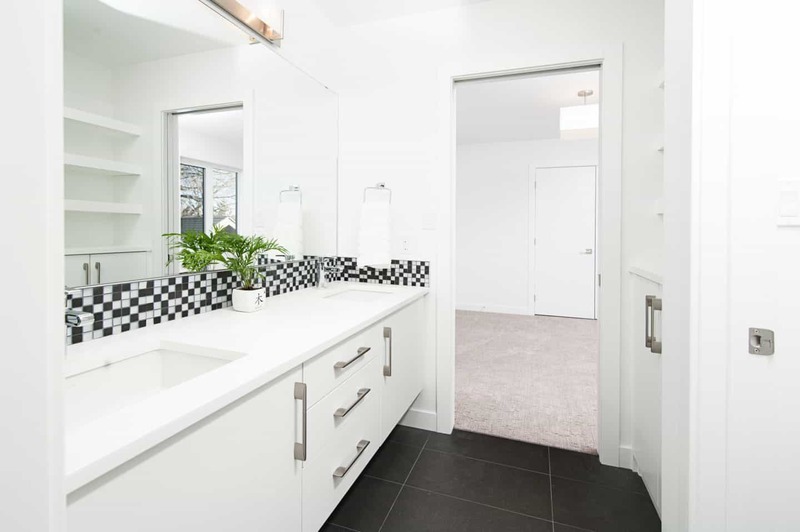 Our bathrooms are often overused, under planned spaces that are almost always in need or more storage. A well-organised bathroom is not only more attractive, but it also will help streamline your life. Getting ready in the morning or winding down at the end of the day will become much easier when you don’t have to dig through jumbled drawers of products or untangle knotted cords. If you’re like most of us, your bathroom space is limited, and you’ve had to get creative with storage. If you’re stashing bathroom products all over the house and getting a fresh towel can mean a cold and wet walk to a closet down the hall, you’re in need of some storage solutions. When it comes to storage, most of us are guilty of neglecting our wall space. We’re always looking for ways to cram more stuff into our vanity or medicine cabinet without considering all the wasted space on our walls that can accommodate loads of storage. Adding shelving to your bathroom is a great way to free up some precious counter space and give yourself some attractive storage solutions. Stacking floating bathroom shelves on the empty wall space above the toilet or beside the vanity can provide visual interest to space while helping you store plenty of stuff. When you’ve added your shelving, don’t just throw your products up there. That will only succeed in making your bathroom look messier. Instead, measure the depth of your shelves and go basket hunting. Four to six attractive wicker or metal baskets can serve to hold things like hair ties, face cloths, toilet paper, and more, while all being keeping it out of sight. Add a few décor items like small plants, an ornate mirror, or apothecary glass containers of Q-tips or cotton balls to break up the shelves and make them more visually appealing. Hair dryers, straighteners, and curling irons all take up plenty of precious real estate in the bathroom. If you’re struggling to find room for your hair tools in your bathroom and find that they’re often muscling everything else out of the way or tangled in the back of your vanity, consider a hair dryer holder. These nifty storage solutions hang over the door of your vanity and neatly stash your hair tools against the inside the vanity door. These holders come in varying sizes, and design styles and not all of them will fit on your particular vanity. Before you go out shopping, take measurements of the depth, height, and width of your vanity door, so you can tell if the holder will fit. Pro tip: some older vanities have bulkier trim around the door, which can prevent the holder from sitting flush or from letting the door close comfortably. Check to make sure that your holder will have clearance with the door closed before ripping the tags off. If you have the budget, an updated vanity may provide you with some much-needed storage. Some vanities are just not built with the most intelligent storage in mind. The standard one-door, two-drawer vanity design, or double door vanity rarely fits everyone’s needs. These types of vanities often leave a lot of precious space up for grabs that you have to work around with shelving or modified holders. Check out Unique Vanities expansive stock to find a vanity that will either provide you with more storage or a smaller vanity that will allow you more room in your bathroom to install other storage. You may be surprised to learn that installing a new vanity doesn’t have to be exceptionally expensive. So long as you don’t have to move the plumbing, you can usually just break the grout and move the vanity off the wall by disconnecting the piping to the sink. If you can’t have the vanity you want, then love the vanity you have! You can install different types of shelving or organizers in your vanity to keep your products better organized. If you’re a makeup fiend, then acrylic organizers are not only attractive, they will also allow you to keep all your makeup clearly labelled and organized. You can also use stacked shelving in the vanity’s main cabinet to take advantage of that wasted space. If you have the budget, you can also have custom shelving built into your vanity and custom dividers put into the drawers to help keep your products better organized. Did you know that clutter is not only unpleasant to look at, but it can also increase our anxiety and cause adverse mental effects? To keep your bathroom as tidy looking as possible, you’ll want to keep all counters clean and free of clutter. Do this by using wall-mounted storage solutions that are as practical as they are pretty. One option is to take a stained board and mount mason jars to it to create cute holders for toothbrushes, makeup brushes, Q-tips, or other necessities you want to keep at arm’s length without crowding the counter. You can also do this with wire baskets or wicker baskets that you can mount to the walls to contain any loose clutter. 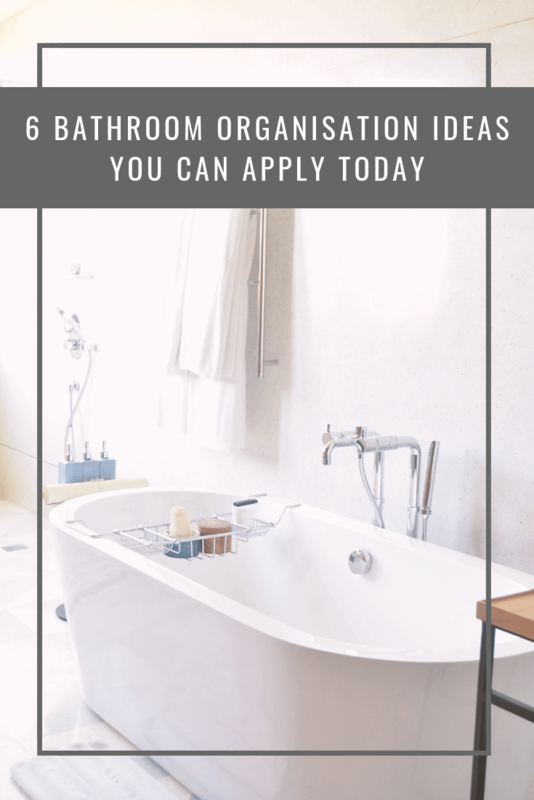 If you live in a rental or don’t feel that shelving will work for your bathroom, you can always invest in a removable over-the-toilet storage unit. These wooden or metal storage units mount behind and above the toilet. While they do need to be secured to the wall, they won’t be as much work as floating shelves. These shelving units can be used to store toilet paper and other items. To keep the shelf from looking cluttered, store any loose items in apothecary jars or ornamental baskets so that the shelf still looks neat and tidy.